I understand that I am not the very best person to talk about religion. However, I do believe in the greatest power in this universe that belongs to an entity we called as God. At times, I ask to myself; do I deserve to be happy? Sometimes the answer is yes; I believe that everyone in this world has their own right to be happy, and that is including me. However, there are times when I think that perhaps some people are destined to not deserve happiness, and I am one of them. Because when everyone deserves to be happy, then why do some people keep feeling the constant sadness which they cannot even explain why or where it does come from? Because when everyone has the right to be happy, then why do some people even have the constant loneliness even when they are in love? Can people be happy but sad at the same time? Can people be in love but lonely simultaneously? What is happiness anyway? Is it the same for everyone? I believe that I am happy now; but do I deserve this kind of happiness? They say that some people bring out the worst in you, while others bring out the best; and then there are those remarkably rare, addictive ones who just bring out the most of everything; they make you feel so alive that you’d follow them straight into hell, just to keep you getting fix. Perhaps my question was wrong in the beginning. Instead of asking about happiness, I should ask about being alive. Am I feeling alive? The answer is definitely yes; and I guess that is the essence of being alive; it is to be able to feel happy, sad, and lonely while we’re in love. 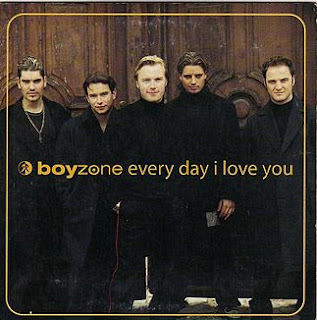 Before their initial split in 2000, the Irish boy band Boyzone released a final single titled “Every Day I Love You”. 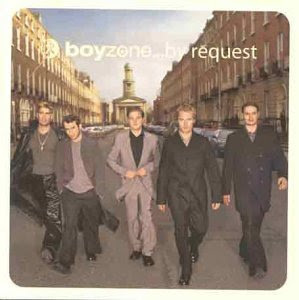 It was released on November 22nd 1999 as the promotional single for the group’s Asian Special Edition Bonus Track of their greatest hits compilation album, “By Request”, which was released on May 31st 1999. This pop ballad track was written by Gary Baker, Frank Joseph Myers and Jerry Allan Williams. For me personally, this song is magical. Listening to it makes me feel the beautiful sadness in love; it is heartwrenching and heartwarming at the same time. Take a look back at it now, I feel that God and universe really have a great sense of humor. Just like what Karl Marx once said; if it happens once it is a tragedy, but if it happens twice then it is a comedy. Indeed, life is a comedy if we take a look at the bigger picture of it. Five years ago I would never imagine my life would come to this point; especially after what happened with me and him back then. “‘Cause I believe that destiny is out of our control; don’t you know that I do? And you’ll never live until you love with all your heart and soul.” But now I’ve come to this point and it has made me realize that this love we have is what making me feel alive, every single day. “Everyday I love you more.” It is okay to feel sad and lonely. It is alright to feel unhappy. Even when we are in love, it is fine to feel all of those feelings simultaneously. Since by being able to feel itself is the sign that we are alive. In order to feel alive, it is alright to be brave to pour our heart and soul in love, to afford the best, to show the worst, and to be the most. I understand that people believe what they want to believe. And I want to believe that when we really love someone then we are able to be better, somehow. And I want to believe that when we truly love someone then we are able to learn something new, some way. And I want to believe that when we deeply love someone then we are able to feel loved for all the things we are. And I want to believe that when we greatly love someone then we are able to give the very best. And I want to believe that when we sincerely love someone then we are able to feel blessed. It would make us believe that some things are meant to be, that even the most impossible dream could come true, and that destiny could bring it all together. It would make us feel alive by being able to feel happy and sad at the same time. In the end, do I deserve to be happy? Well, I don’t know; but I believe that everyone has their own right to define what happiness is for them. And everyone has their own way to define that. Therefore I dare to say that I do deserve to be happy with my own terms of happiness. People may say bad things about me and my current state of relationship. Even my partner may have his own meaning of happiness in this relationship we share. However, this is what I feel now. Every day I love you, Vid. Together we’re the very best. I know that I am truly blessed. And I’ll give you my best. If I asked, would you say yes? ‘Cause I believe that destiny is out of our control, don’t you know that I do?